Irish Ferries has created a complete package for this one-off event, including travel, hotel and Riverdance tickets, from just £215 per person. 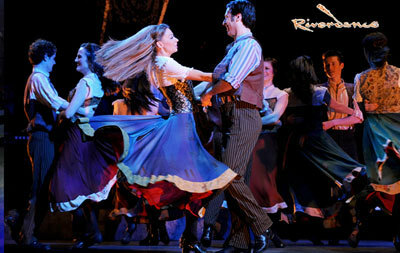 The package includes a special performance of Riverdance at the Gaiety Theatre, with guests including ‘first lady’ Jean Butler and co-founder Moya Doherty, as well as seats for Riverdance in the Park: a big-screen homage to 20 years of Riverdance worldwide, accompanied by a live orchestral performance in Merrion Square. There’s also the opportunity to see Jean Butler and the cast – along with Irish dancers from all over the world – attempt a new Guinness World Record for the Longest Riverdance Line. The current record is held by Nashville in the USA, with a line of 652 Irish dancers: Riverdance The Gathering plans to beat this number, at a special event on the banks of Dublin’s River Liffey. Prices start at £215 per person, based on two adults travelling together and sharing a double/twin hotel room. That’s for a stay at the three-star Regency Hotel, which has free car parking and an indoor pool. Children four-11 years sharing a room with two adults pay just £35 each, for the complete package. Other hotels are available at a supplement. All bookings must be made by 5 June. The weekend may be extended by asking Irish Ferries to book additional hotel nights, and alternative ferry crossing dates. Irish Ferries terms and conditions apply. For more information, visit irishferries.com/holidays.